Gadora is always on the hunt for inspiration in snappy home-design and avant-garde clothing boutiques. My former life as an accessories editor nurtured a persnickety penchant for the finer things, though at present my champagne tastes come with a Pearl-beer budget. Catching wind of HOWL Interiors ~ Fearless Home Fashion, Gadora grabbed some girlfriends for a trip to find it. The tiny bungalow-turned-studio space, tucked just off 6th Street, was unoccupied but we peered inside to find curiosities both teensy and on a grand scale. I’d have to meet Howl’s “mad-scientist” and designer Barry Jelinski another time. 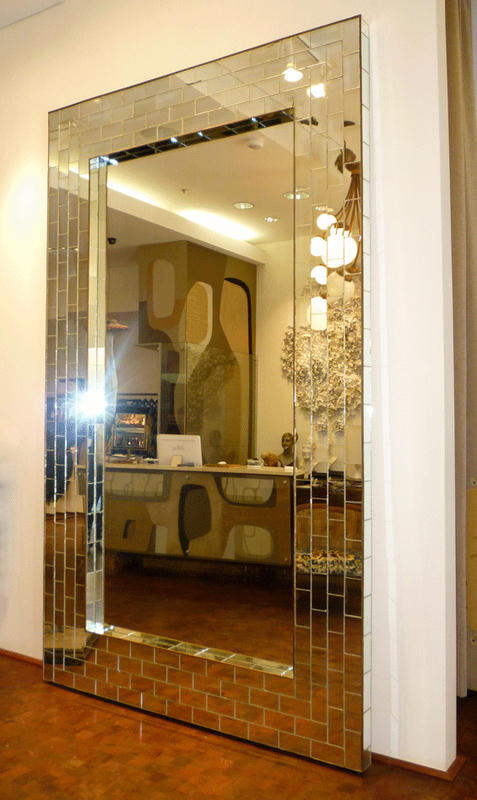 Later that day we found Jelinski’s wildly intricate coquillage mirror at Mercury. Got my noodles churning with all the things I might do with seashells, too, had I a zillion of them and the patience of a Saint. 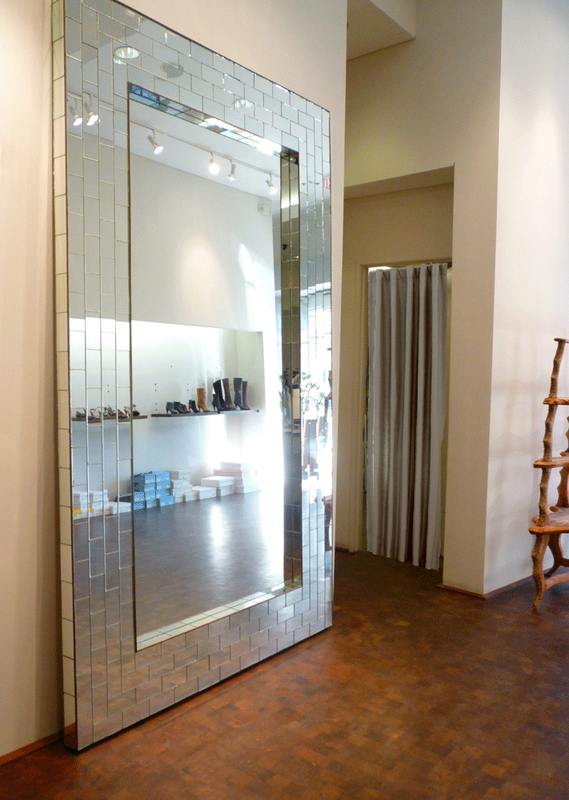 Yesterday Gadora heard word that the amazing Howl Studios Deco-esq Mirror, which has been living at By George boutique—an Austin staple for the fashionably-inclined—IS. FOR. SALE. 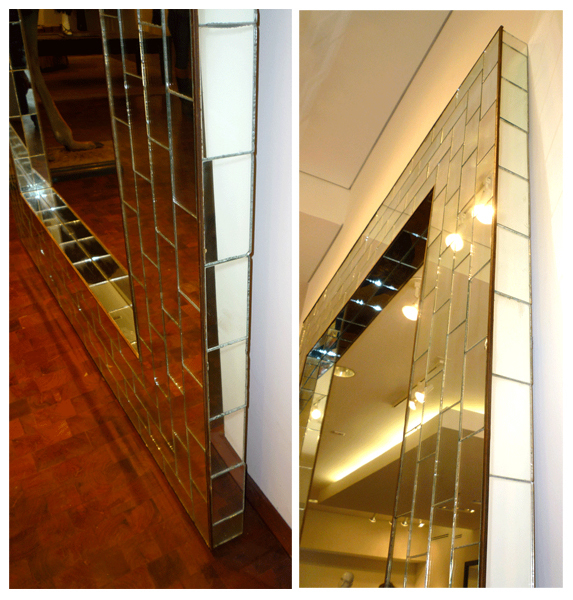 2′ mirror tile frame finishes the piece. Sadly, I can’t make the mirror mine. But YOU can. Just call Matthew Culmo at By George to arrange the details. 512 472 5951 or info@bygeorgeaustin.com. Posted on February 5, 2010 February 5, 2010 by gadorawilderPosted in MusingsTagged ByGeorge, Howl Interiors, South Austin. Next Next post: A pre-Valentine fête at Spruce. How about another article like this one! I NEED that mirror in my fauncy new bedroom. Be still my heart.